The 1,000-acre Greater Southdale District is home to the nation’s first enclosed shopping center as well as a variety of other assets including a regional medical center, the Centennial Lakes office-housing development, as well as a unique landscape feature that creates a pedestrian connection through portions of the district from north to south. 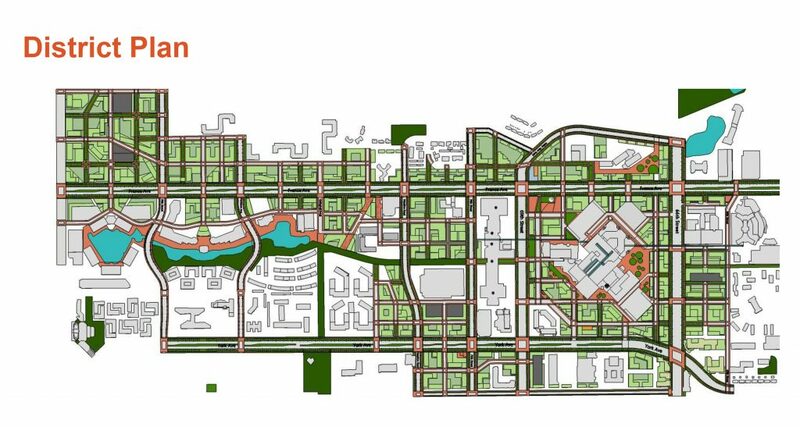 The City of Edina engaged AFO to collaborate with the Greater Southdale Area Work Group–comprised of Southdale area residents, representatives from district businesses, and civic leaders–to create a graphic vision for planning and public realm development within the district. Drawing upon the Work Group’s Guiding Principles, our plan focused on enhancing connections across existing major streets, introducing a new block framework to encourage walkability, and advocating design strategies that can result in an improved public realm and promote higher quality, pedestrian-scaled development. 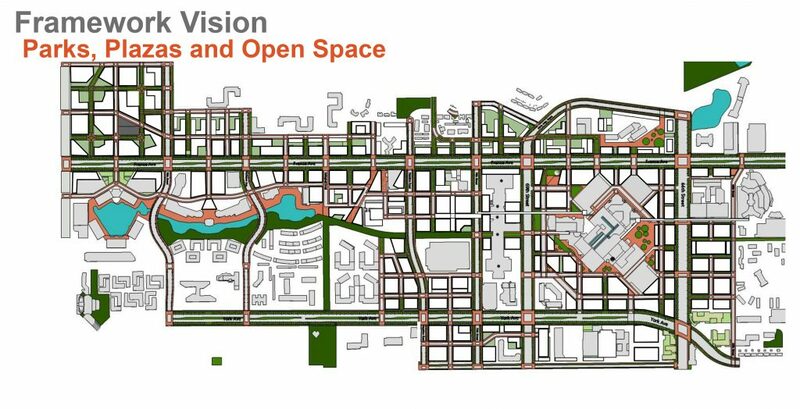 We also focused on public open space systems, considering new concepts to encourage and incent higher quality new developments while meeting the needs of the surrounding neighborhoods and the greater Edina community. 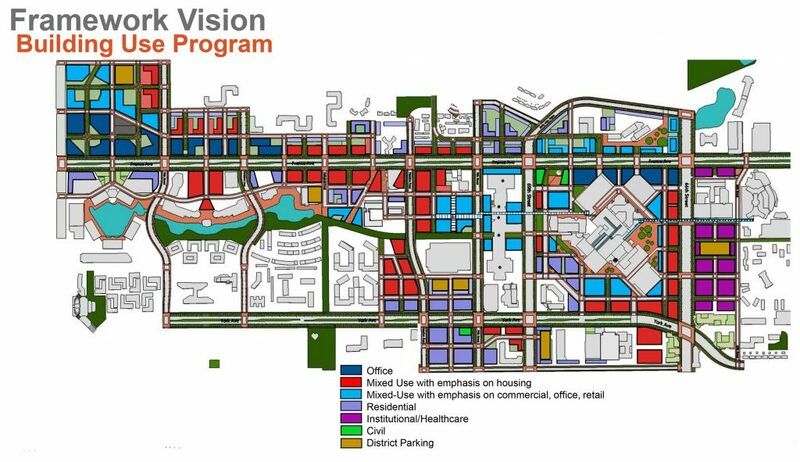 This vision plan now helps guide new development proposals in the district, and will be a key foundation of the Southdale Area Small Area Plan, currently underway.